What does driving faster than the speed limit do to your vehicle’s fuel efficiency and budget? Since gas prices are increasing because of demand and rising crude oil prices, the Automobile Club of Southern California’s Automotive Research Center (ARC) tested vehicles’ fuel economy to find out how aggressive driving can impact fuel economy and impact consumers’ budgets. 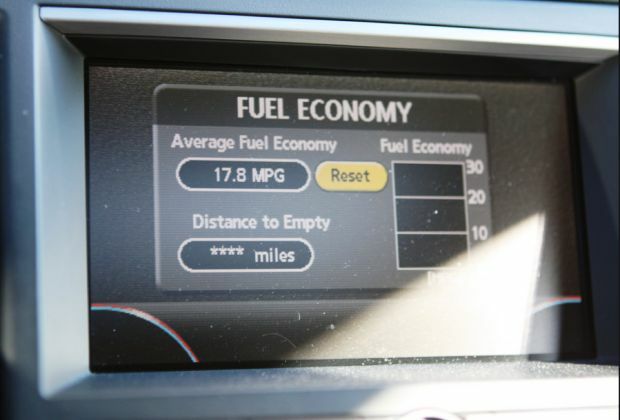 The ARC found that fuel economy decreased by an average of 9 percent when traveling at 70 mph instead of 65 mph. That’s equivalent to paying 38 cents more per gallon on average, or $4.94 per fill up based on the average 13 gallon small car gas tank, according to McKernan. “Adding it up comes to a difference of about $168 annually, while paying $3.75 per gallon. And that is just for a modest 5 miles per hour increase—it gets much more expensive the faster you go - $309 at 75 miles per hour and $491 at 80 miles per hour. When Would Consumers Change Driving Habits of Offset Higher Gas Prices? A recent AAA survey found the vast majority of consumers would change their driving habits or lifestyle to offset higher gas prices. One in four across the nation say they would start making changes at $2.75, while 40 percent say $3 a gallon is their tipping point. The AAA survey also found that the price at which consumers would start changing habits or lifestyle varies by region. In the West, 44 percent of consumers said they would start changing their habits or lifestyle at $3.75 a gallon; at $4 a gallon, 66 percent said they would begin making changes. Optimize your daily driving habits. Maintain steady speeds. A car uses more fuel accelerating. Cruise control may be a fuel-saving option for motorists who do a lot of highway/freeway driving because a steady speed conserves fuel. Minimize last minute braking. Anticipate traffic conditions. Be alert for slow-downs and red lights and coast up to them, if possible. Drive smoothly, avoiding “jack rabbit” starts. Remember, however, that traveling slower than traffic flow can cause a safety hazard. Make sure you shop around. Looking for low gasoline prices in their local communities may save motorists money, according to McKernan. Consumers may easily shop around online by using tools such as the free AAA app, which automatically displays the lowest gas price near the user on the home screen. Traveling long distances to save a few cents wastes fuel and may cost motorists more money. Share work or school rides by carpooling or consider public transportation. Sign up for carpooling through your employer or ask around your office and neighborhood if ridesharing is possible. Employers, in some cases, offer a monetary incentive for car or van pooling. Do not use your trunk for storage. The heavier your car, the more fuel it uses. Remove golf clubs, full backpacks, and other items that don’t belong in the vehicle, but leave the spare tire, if there is one, in the trunk. Reducing extra weight can save up to two percent fuel economy for every 100 lbs. removed from the vehicle, depending on the vehicle. Also lose the roof rack, if it’s not being used regularly. Carrying things on a roof rack increases aerodynamic drag and reduces fuel economy year round, not just in the spring and summer. Combine errands. Plan your route and look for a location where you can take care of all or most errands. If possible, park in a central spot and walk from place to place.